None of the nine applications did not fulfill the stated in the description of the functions — instead they showed the hype. 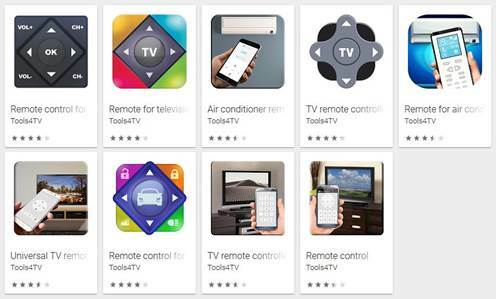 The author of all apps is the one developed by Tools4TV. After downloading each of these programs simulated the connection between the controller and the device, then hid its icon from the desktop and start display ads. In total has suffered more than 8 million users. Negative reviews they are not embarrassed — so, the popular app has been downloaded about 5 million times. After contacting ESET malicious applications were removed from Google Play.